The exact date escapes me, but I remember that my studies of Buddhism started around the summer of 2012. Stoicism came into my life a few years later in a form of Marcus Aurelius’ Meditations. Currently reading Epictetus’ Discourses I come upon a point after point where similarities between the two philosophies are striking. Buddhism, personally, feels more like a philosophy, rather than religion. An important line of thinking that is shared by the two philosophies of Buddhism and Stoicism concerns our craving and want of things. Those wants are not limited to material possessions that we can acquire in exchange for money. Included is the achievement of certain benchmarks that we often treat as physical things that are to be achieved in life: a ‘good job’, high social status and the rest…if these “needs” could be met then most certainly we have achieved happiness. Right? Have you seen a teenager wear a new pair of white sneakers, only to become enrage when someone accidentally steps on them? The addition of about a dozen years since I had graduated from high school graduation had given me a new perspective on purchasing sneakers. With age came a great many things to preoccupy my mind other than the cleanliness of my footwear: making the most out of being a husband and a dad, squeezing in more time for reading, work/job/career (can’t figure out which one is more appropriate). Most challenging part of life is not taking this said life too seriously. 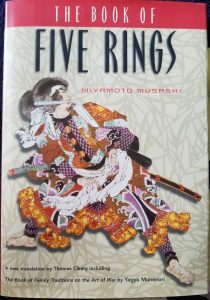 Miyamoto Musashi’s Book of Five Rings had been a part of my library for a few years now. The book had been collecting dust until I came upon an episode of the Jocko Podcast discussing the work. Such is the reason for this, as well as subsequent posts regarding the content of Musashi’s work. What is this ‘deviant’ state of mind? Why does your heat have to do with anything? 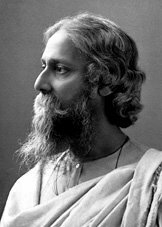 What is the genuine path? What do you do? Why do you do it? What is your motivation? Are you in the chosen line of work due to it being in line with your goals and aspirations or are you in it just for the money? Is there a middle ground between the two? Do means justify the end result? The stakes were high for Musashi. He could not afford indecision in matters of life and death. Without a sincere and wholehearted effort the outcome of the battle for the samurai was a certain death. The kids that I coach appear to enjoy the game of basketball itself, but for some a wholehearted effort is a little hard to come by. Should they obsess about practice? Not everyone does. Nor everyone should. That, in itself, is a process of sifting those who have the heart and those who do not. Some kids will strive on the current path but only because at this point in time they are of a level ofphysical maturity that is above their peers. Winning through sheer physical force they lack finesse and are unable to visualize the context for their actions. As Musashi states, “that is not a genuine path” and soon enough the “crookedness” of their deviant ways will reveal itself when the ‘weaker’ peers, smaller, younger peers overtake them by the skills acquired through patience and sincere learning. You have to ask yourself how badly do you want this to be your path in life? Unlike Musashi, most of our day to day activities are not full of life-or-death moments. Rarely are we under physical and mental strain to make decisions that could cost us our life. That is why we should be true to ourselves snd live in harmony with our heart and mind. If we are not then we stand no chance with our efforts that will most certainly result in death of our flesh, worse yet, death of our spirit. This is a video of soccer, but body-language is so much more than just about sports. 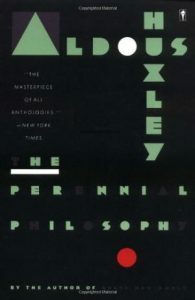 The dense block of wisdom that is Aldous Huxley’s The Perennial Philosophy provides many quotes for contemplation. Done as a cost cutting measure at the time, the decision not to sign up for cable TV three years ago has mostly been a positive one. In no way do I miss the gloom-and-doom newscasts. There was a time when I felt compelled to read the Daily News and the New York Post. At times I had even picked up the pricier New York Times. Most likely because at that time I was still in college and had declared Political Science as one of my three majors. Reading newspapers is seems now like such a long time ago. I wonder if the pre-Internet, pre-soundbite, generations were leading comparatively ‘happier’ lives than we do today? Contemporary thinking tends to equate technological progress with quality of life. Much like what we mean by the term evolution is not a necessarily progress towards a positive, but only what is advantageous due to current circumstances, and also comes with trade-offs (see here), so is the thinking that what we have right now, today, is the best case scenario of the circumstances that have led us to live the way that we do today. If there has never been a better time to live then now then what have we give up to have this luxury?